A guardianship grants a person legal authority and responsibility to look after certain personal and/or financial interests of another individual, referred to as the ward. As such, guardianships are a type of custody arrangement that must be reviewed and approved by a family court. At Sutherland Law Firm, LLC, our lawyers have extensive experience helping clients secure, alter and terminate guardianships. Diligent and compassionate, we can advocate your rights, protect your interests and effectively represent you as we help you achieve your goals. We are ready to discuss your situation and explain your options regarding a guardianship. In these cases, we represent prospective and current guardians, as well as biological parents, wards and others. Minor children – In addition to caring for abused and/or neglected children, guardianships can be used for children whose parents are terminally ill, incarcerated, homeless or otherwise unable to provide the necessary care. Adults – This can include adults with developmental disabilities, mental health issues and/or other illnesses. It can also include elderly individuals whose age or deteriorating health renders them unable to look after their wellbeing and/or finances. Guardianships can be temporary or longer term, depending on the situation and needs of the ward. 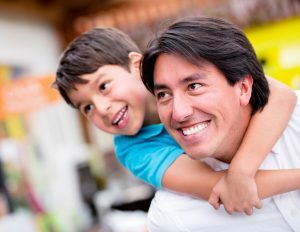 When minor children are involved, the guardianship will not automatically terminate parental rights; instead, the guardianship relationship will co-exist with the parental relationship, unless other action is taken to sever the legal parental relationship. Non-family caregivers, such as family friends – When a non-relative seeks guardianship, (s)he will usually have to establish his or her relationship with the ward and demonstrate why (s)he serving as guardian would be in the ward’s best interest. Been deemed incompetent by the court. Representing you in any and all court hearings. For essential advice, advocacy and guidance in your guardianship case, contact a trusted guardianship & family lawyer at Sutherland Law Firm, LLC by calling 505-293-9333 or emailing our firm. Responsive and insightful, our attorneys are ready to discuss your needs, concerns and objectives and explain your options for proceeding. Backed by 40 years of family law experience, we have the knowledge and skills you can count on for effective representation at every stage of your case. From offices based in Las Cruces, we represent clients throughout New Mexico in guardianship and other family law cases. We are also licensed to practice in Texas and Michigan.